Kate is a Research Fellow at the Social & Global Studies Centre at RMIT University, working on the Early Menopause: Experiences and Perspectives of Women and Health Professionals NHMRC Partnership Project. Previous projects include the Emotional Experiences of Early Parenthood in Australian Families project (Healthdirect Australia), the Mental Health and Supported Decision Making Project (ARC Linkage Project) and Experiences of Depression and Recovery in Australia (ARC Linkage Project). 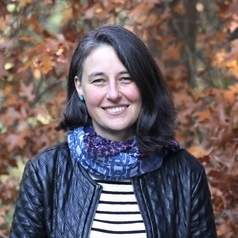 Kate is also the Coordinator of Healthtalk Australia, a consortium of qualitative health and illness experience researchers who translate their findings into both the academic and lay arena via online health experience resources. Kate's PhD thesis in family sociology explored Tongan-European-Australian intercultural couples' experiences of partnering and becoming becoming parents in cosmopolitanized late modernity. Her research interests are in the social, cultural and emotional dimensions of life-course transitions, particularly in relation to fertility and reproduction, in late modernity. She is a member of the Australian Sociological Association (TASA), the Australian Association of Pacific Studies (AAPS), and the Australian Motherhood Initiative for Research and Community Involvement (AMIRCI).